Not only students and young professionals use the blazer combination with jeans to pull off a casual dress code. 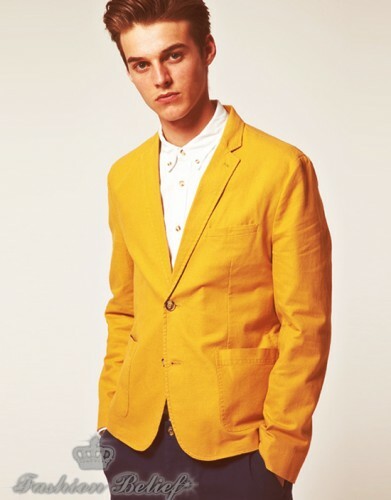 The blazer can be the key for dressing up with jeans and a t-shirt. Wearing a well-made casual blazer with classic or distressed jeans will put you on to a perfect look for a casual day at the office or for a night out with friends. You must first of all, understand how to combine the blazer with the jeans. They need to fit perfectly in order to pull off the look. Keep in mind that this look is not appropriate for most offices when it is combined with a t-shirt. Never wear over-sized jeans though. A fitted pair of jeans is what you need to combine with a blazer. Make sure the jeans don’t have rips in them. Wearing a tailored blazer with dark jeans and a shirt can work for you in a business-casual office environment. To pull of the casual blazer with jeans look, leave the top buttons of your shirt unbuttoned and ignore the tie. Buttoning the top two buttons of your shirt and wearing a tie will make you drift away from the casual look you are trying to force. You can add a sweater vest to the look and a loose tie. The loose tie is mostly for a high school or college look, where you can tie a tie loosely. Do not try this in the work place or office. You can wear the sweater vest over an un-tucked shirt for a better look with the blazer. If you are thinking of which shoes to wear with the blazer and jeans outfit, go for white or colorful athletic shoes for a more polished look, or wear your favorite sneakers for a laid-back style. You can also use the leather sandals as footwear for the outfit, but this particular look is best for warmer weather. To make the blazer and jeans look more appropriate for a formal event or a business lunch or dinner, make sure you tuck in your dress shirt and wear a belt. This look is perfect for the weekends when you still have work to be done and deals to be closed to get away from the suits you have been wearing throughout the week. All you need is a blazer, fitted jeans, a nice dress shirt and some athletic shoes.